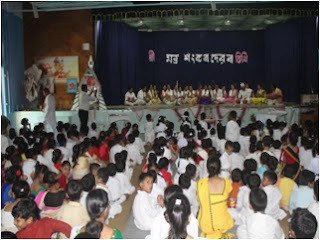 VKV Golaghat celebrated Shankardev Tithi on 23rd August,17. All the students from UKG to XII were present along with some parents on that day. The program started with lighting of the diya. Borgeet and lokageet competition was organised among the students of Senior Houses. 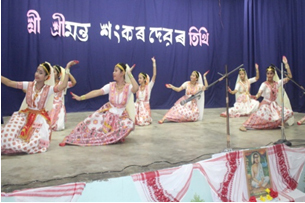 There was a Satriya Dance performed by the students of VII and VIII (girls). There was a nagera naam by students of class VII and one by teachers also.